You surely remember last year’s Göteborg Book Fair either you could personally be there or not. On 26th September Per, in between 2 signing sessions, took part in a very entertaining pop quiz that was led by Sven Lindström. Another participant of the quiz was the other lonely boy, Nisse Hellberg. 4 months after the event, the book fair team decided to share the sound recording of that seminar, so now everyone can enjoy it. A short summary of the day as chapter 1 you could already read here at RoxBlog in this article and 1/3 of the seminar you could already watch as a video summary in this RoxBlog article. The seminar was of course in Swedish, but it is worth listening to it even if you don’t speak the language. How these guys love music shines through their talking. Always! Oh and you can also hear how Per loves to win. Because he won. Of course. Hopefully, chapter 2, i. e. the interview Jan Gradvall did with Per on 28th September will also be uploaded as a sound recording at least. Until then, enjoy this little pop quiz! The second day for Per at the book fair was yesterday. The seminar he took part in started at 1 pm, but fans were already waiting for him since 10 am. We were continuously filling the rows and listened to all the authors who came before Per. One of the writers was funny, he told he was the book fair support act for Mr G.
Per arrived with Miss Dimberg and Anders Roos at about 1 pm. PG already got stopped by fans who asked him to give them autographs even before the seminar. 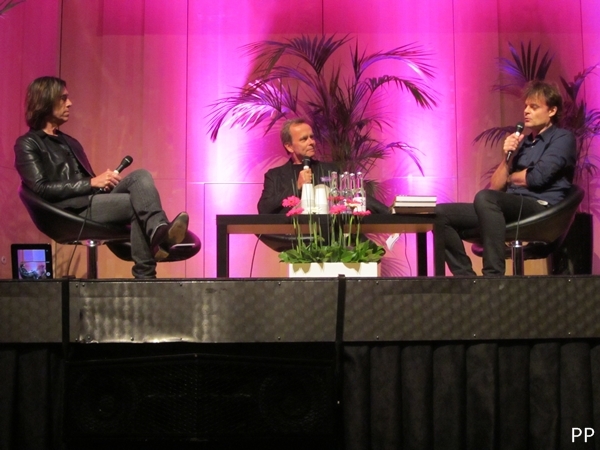 When Per got to sit on the stage before the conversation, he was drumming on his legs and whistling. He refused to use the microphone which they could have fixed on his head, but used a standard microphone. Many-many people were curious about Per, but the stage area was so small that a lot of people couldn’t sit down. The seminar ended appr. 10 minutes earlier than planned, probably because they saw the signing session would last longer for that many people. Per’s interviewer was Jan Gradvall. They talked about songwriting, specific songs, as well as rhymes. He talked about his childhood room, what posters were on the walls (e.g. Hep Stars), there was a gramophone player and there were also some Barbie dolls. The family moved a lot and e.g. in 1968 they lived in Simlångsdalen. Per said his best friend was pop music. ”Tragical, but true.” Watch the short video of this part of the interview HERE. They talked about how productive and busy Per is. He is doing many projects at a time, but when one ends, he feels like: ”Tack, nästa projekt.”, looking forward to the next project. The archives are just the summary of one chapter in his life. After the seminar, there was a signing session next to the stage. 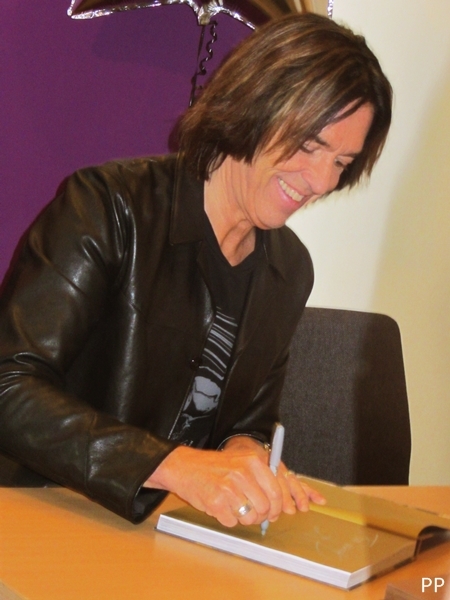 There were so many people queueing with the Per Gessle books in their hands. Unfortunately, the last 5-6 people were asked to go to the other signing place, at the Roos & Tegnér stand, because they were running out of time and the signing at the stand had to start at 2.30 pm, but there Per really took his time and draw a great amount of Leifs in many books and boxes. 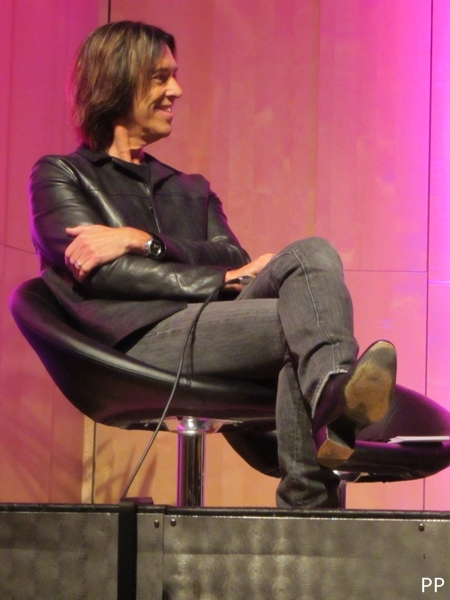 Ah, there was one new info during the interview: the Roxette rehearsals start this week. Bring on the tour! Thanx for all your time and for the fabulous weekend, Mr G! Feel like writing something like this today! /P. 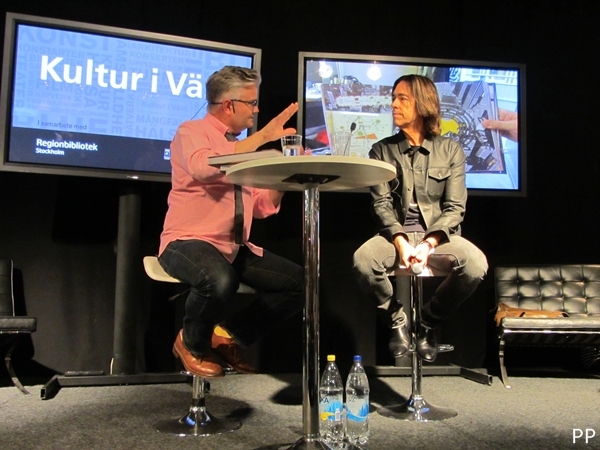 As you already know, Per attended the book fair in Gothenburg today (26th September). Some fans were already there at the Roos & Tegnér (publishing company) stand to wait for him and buy the books before he arrived. 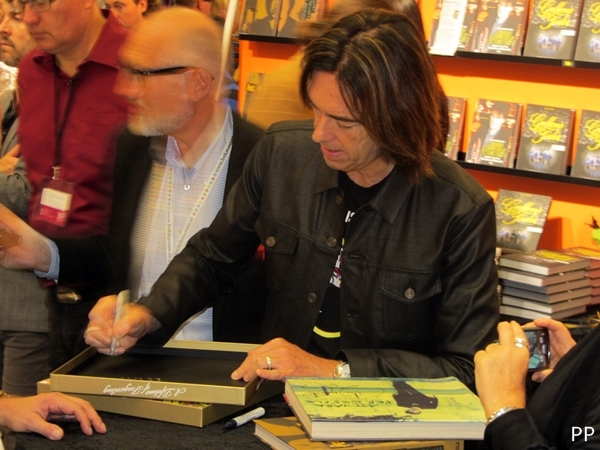 When I arrived to the stand at about 2 pm and bought the Per Gessle books, one of the R&T guys, Christer asked me where I’m from. Told him I’m from Hungary, then he said with a big smile on his face: ”You know that… Ah, of course, you know…” Haha. Yes, it was quite evident I knew Per would sign the books at the stand at 3 pm. It was a lovely waiting time, meeting and chatting with familiar Roxer faces and having a little wine tasting. They offered us Per’s Fru Nordin white wine to taste. 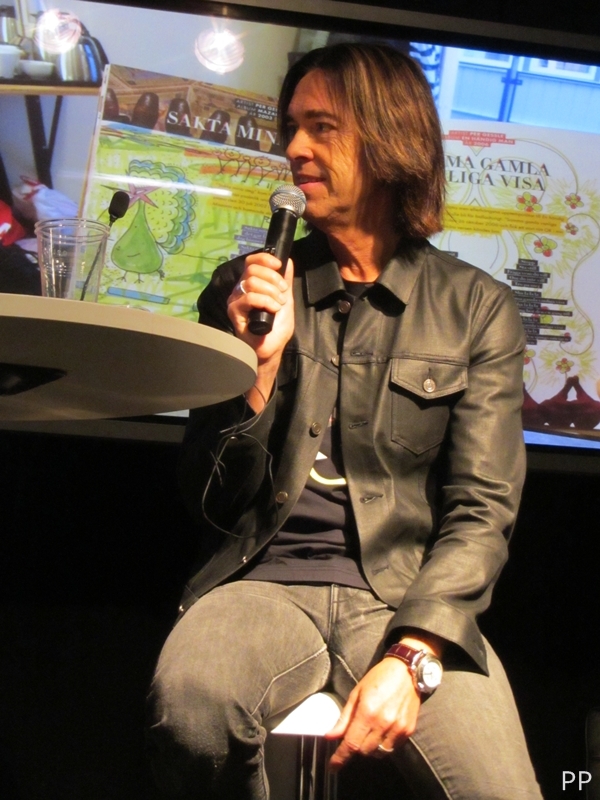 Benny Mårtensson, the designer of the PG books was also there. He did a great job, that’s for sure. Sven Lindström, Pär Wickholm and Jan Gradvall were there, too. It was first Nisse Hellberg who signed his book at the stand from 2 pm. Mr G arrived to the stand with Miss Dimberg and Anders Roos (from the publishing company; photographer of the Alla tiders Gyllene Tider book) almost exactly at 3 pm. 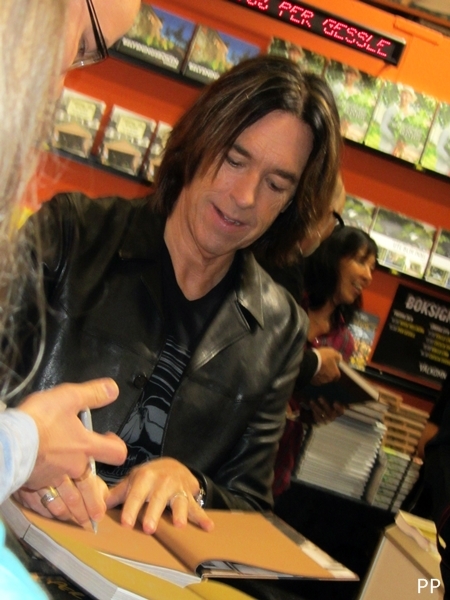 He took his place at the signing desk and started signing the books for those who were queueing. He was in a great mood, smiling all the time and joking with those who asked him if they could take a pic together or if he couldn’t understand the name of the one who asked him to sign the book. When I told him the books are awesome, he told they are cool and he could find only 5 mistakes in them. So, count them when you start reading, guys! 🙂 He also mentioned that there will be (a) Roxette concert(s) in Sweden most probably in summer, 2015. Sounds good for our souls. The signing session lasted for about half an hour, then Per disappeared before getting on stage for the pop quiz seminar with Sven Lindström and Nisse Hellberg at 5 pm. The seminar was quite an entertaining one. They were talking about songwriting, lyrics, bands, The Beatles, The Rolling Stones and Sven prepared a tough quiz for the guys with pop songs from different eras. After listening to a short part of the songs, Per and Nisse had to say which song they heard, who’s song it was and from which year. You can imagine it was a tough quiz if even Per couldn’t tell all the details of each song. But of course, he doesn’t like to lose and he did his best to win. PG : NH – 6 : 2. When Sven forgot to give Per points, he was ”fighting” for those points. Lovely. He enjoyed the music so much he was even humming the tunes and ”dancing” with his head and legs. Watch it with your own eyes in THIS short video. The audience was also very helpful when The Lonely Boys couldn’t find out which song was heard. I can imagine Per going home after the book fair and checking all the songs he couldn’t recognize. The quiz should have lasted until 5.45 pm, but everyone was having fun, so it ended almost at 6 pm. We could have enjoyed it for even more hours. After the seminar, Per and Nisse were signing their books outside the congress hall. Until then Åsa arrived as well. She looked wonderful and was very nice to all of us fans, as usual. The signing session lasted again for about 30 minutes and after that Per went ”backstage”. Probably, for an interview. Then Elvis left the building and so did we. This guy always makes me feel like I had the best day of my life when I meet him. It happened today as well. Chapter 2 on Sunday! In an earlier article we wrote about the Göteborg Book Fair that is going to happen this weekend. Per will take part in 2 seminars, one on Friday and another on Sunday. 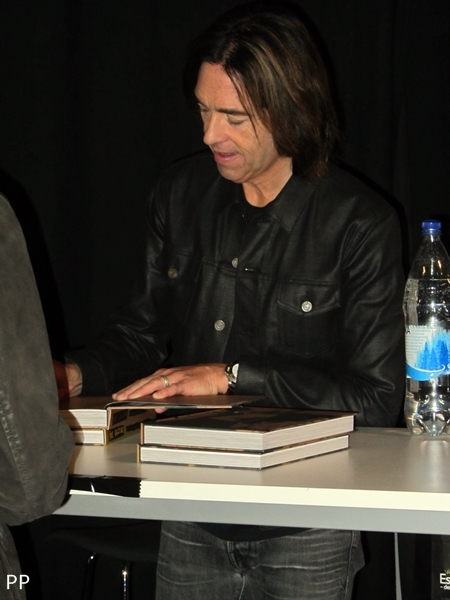 Before and after the seminars he will gladly sign THE books (and probably, anything else you want him to sign, e.g. TPGA box if you haven’t pre-ordered it signed). All the details regarding the tickets and content of the seminars are in that earlier article. Click here to check it! Sounds like a fab weekend program, doesn’t it? P.S. : The books you can buy at the Roos & Tegnér stand at the book fair. 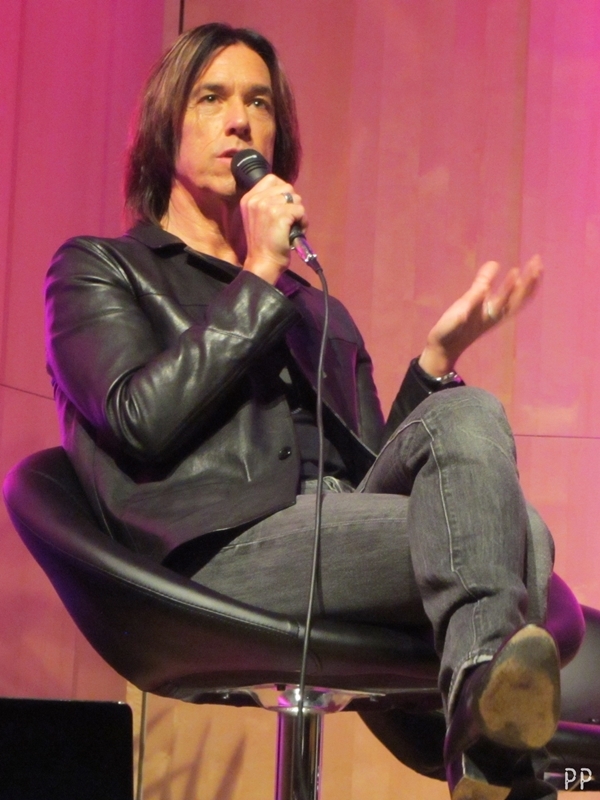 Per Gessle at the Gothenburg Book Fair in September! We already mentioned in an earlier article that Per’s 2 books will be launched at the Gothenburg Book Fair in September. However, it was quite predictable, we didn’t know it for sure back then if Mr G would be there in person. The good news is that you’ll be able to meet him at the book fair! More than that, what do you think about a 3-day-long trip in Gothenburg? Why? Because he will be at not less than 2 seminars! 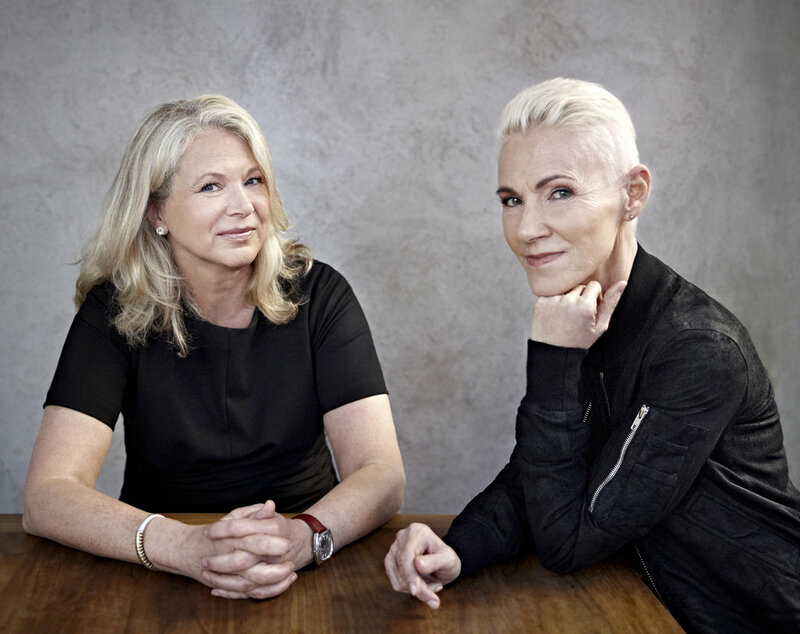 Both seminars are organized by Roos & Tegnér, the publishing company of the upcoming Per Gessle books (and the fabulous Alla tiders Gyllene Tider book). One seminar is on Friday, 26th September and it will start at 5.00 pm and last for 45 minutes. The topic sounds very promising. 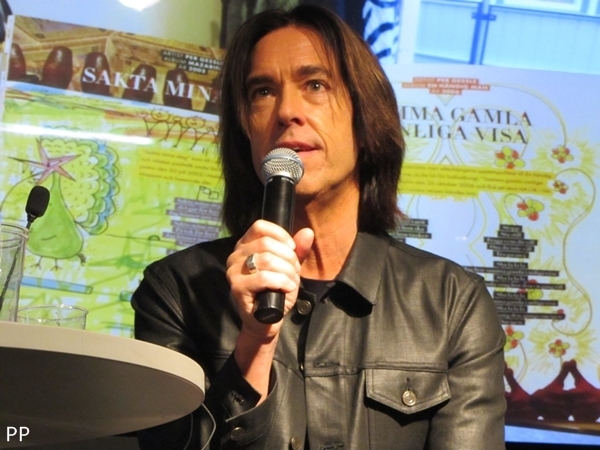 There will be a conversation led by our beloved Sven Lindström, who will have Per Gessle and Nisse Hellberg (you surely know him at least from The Lonely Boys project) as guests. They will talk about pop culture, songwriting and inspiration. Besides this, there will be a pop quiz for the two pop nerds. Sven is going to be a fab moderator of that. Sounds like it’s gonna be much fun, doesn’t it? The other seminar, which is related to Per’s books, is on Sunday, 28th September. It starts at 1.00 pm and lasts until 1.45 pm. 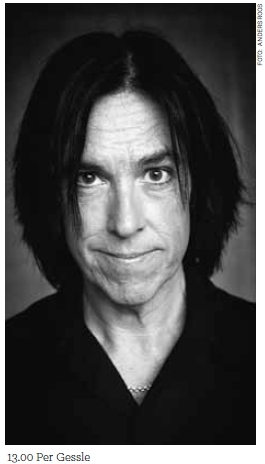 The moderator here will be Jan Gradvall, who is a well-known Swedish journalist and knows very much about pop culture. Per will talk about the books and how the most popular songs came to his mind. He will share his thoughts about songwriting and lyrics and he will tell about his role models and inspirations. Since there was a signing session last year, I think there will be one this year, too, however, it’s not yet confirmed. The tickets you can buy at the entrance and on Sunday it is valid for the seminar as well. Regular prices for adults: 180 SEK per day. Happy Hour between 9:00 and 10:00 on Sunday: ticket for adults: 130 SEK. For the Friday seminar you will also need a seminar card, which costs 625 SEK if you buy it until 9th August and 675 SEK after that date. 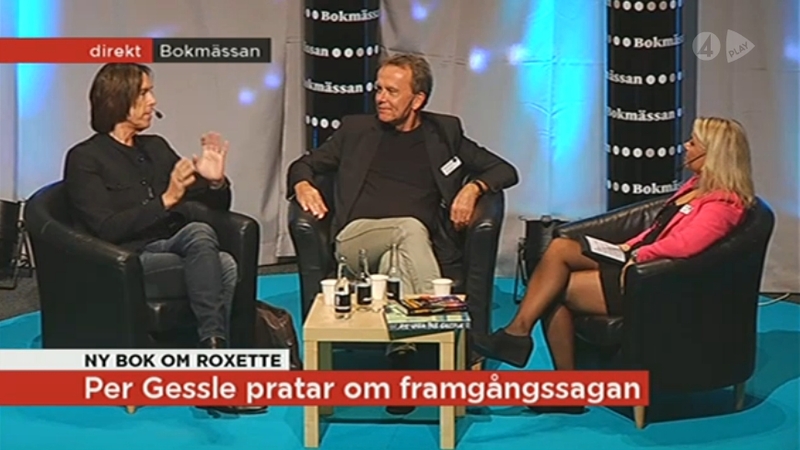 It’s not yet known if the seminars will be broadcast live anywhere, like last year on TV4. Busy month September is going to be! Update on 29th June: the seminar programme has been published. Click HERE to check it!